Amazon rolled out a new update for the Kindle iOS app earlier this week. 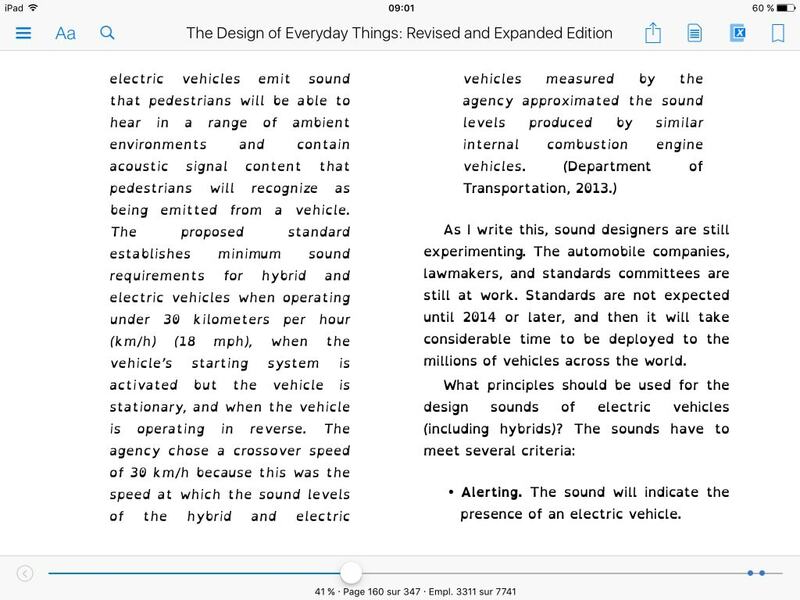 Kindle for iPad, iPhone v4.18 adds new Audible audiobook integration which enables you to listen while the app highlights each word, and it also has a new "Follow the Author" feature (it sounds like this is "Amazon Follow"). The iOS app also now offers the OpenDyslexic font choice which Amazon added to the Kindle Paperwhite last month (OverDrive, Pocket, and other companies also offer similar font options). The font is supposed to help those with reading disabilities. As the thinking goes, it makes characters easier to recognize by emphasizing certain parts of each character. Experts dispute whether it is effective, but as you can see in the screen shot it is distinctive. Thanks to Jiminy Panoz for the screenshot; I have somehow misplaced my iPad (it's chaos here due to a family emergency). You can find the app in iTunes. There is a new Kindle PW/Voygage update, 5.7.3, that just says it is general fixes.